What is content marketing and what can it really do for your business? Content (as know as text) is the lifeblood of search engines like Google. 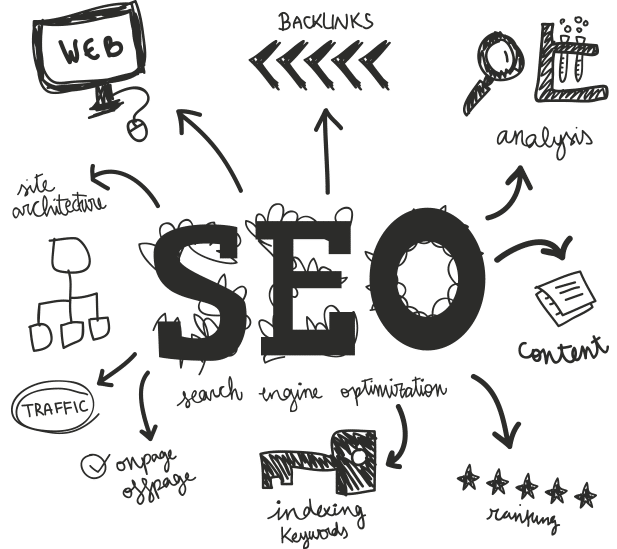 Keyword rich text on your website, in your social media posts, and blog content is what drives traffic to your landing pages and contact forms. It’s the stuff that makes your phone and cash register ring. We can help develop the right strategy to write and deliver your messages to your most desired customers. Search engines live on content. Primarily text content, although video is becoming more and more important in the world of SEO. More content equals more keywords your website can be found for in a list of results. But writing good, relevant content on a continual basis is time consuming! That’s My Idea Marketing can help! Create a master list of keywords you want to be found for online. We will use these keywords across all of your online identities (blogs, social media, business listings and website). We’ll determine the frequency for new content. Websites need to be updated with new text at least monthly, however a good blogging campaign requires more frequent posts and social even more than blogging. Where will the content appear? We’ll help you create a comprehensive plan for your new content, determine where to place the content, and then place it for you so it’s a hands free process for you! Topics – it’s important to have a plan for what topics you need to cover in your content plan. We typically create a list of topics we need to cover each month and then write based on them. We make sure to include relevant keywords in all the content we write for you. This pre-planning ensures we cover all of the relevant information about your business and it helps everyone stay on schedule. As the business owner, all you need to do is review your content each month and approve it for release. What you say, where you say it, and how often you say it is important! To learn more how content marketing can change your business, contact us today! Is it time to move your business ahead?